The messages on the Touch controllers were for the yet-to-be-released Oculus Quest, Rift S headsets. Facebook "accidentally" shipped thousands of virtual reality (VR) controllers with "inappropriate easter egg" messages inscribed on internal components. As per Facebook's head of VR product, Nate Mitchell, the messages included phrases like "This Space For Rent" and "The Masons Were Here," while some of the developer units had phrases which read, "Hi iFixit! We See You!" and "Big Brother Is Watching". "While I appreciate easter eggs, these were inappropriate and should have been removed. The integrity and functionality of the hardware were not compromised, and we've fixed our process to prevent it's happening again," said Mitchell on Twitter, who also happens to be the co-founder of Oculus, the Facebook-owned VR company. A Facebook spokesperson also told The Verge that the easter eggs were hidden on the Touch controllers for the yet-to-be-released Oculus Rift S and Oculus Quest. The Oculus Rift S and Quest VR headsets are slated to launch in the coming weeks, which means that none of the devices with the messages have been purchased yet. However, it seems Oculus noticed the easter eggs had been incorporated into the controllers before it could remove them. Built on the Rift platform, the upcoming Quest VR headset from Oculus combines the company's new built-in Insight tracking technology, negating the need of a PC. 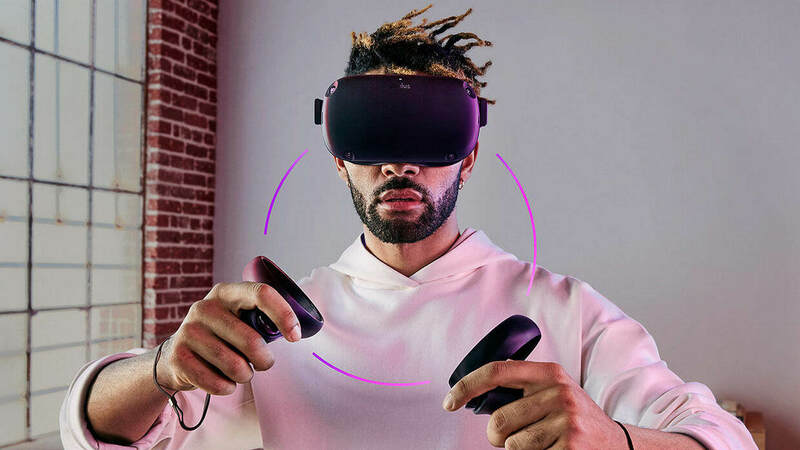 The Rift S, meanwhile, features the same integrated audio system as the older, Oculus Quest and Oculus Go, with the addition of a headphone jack.